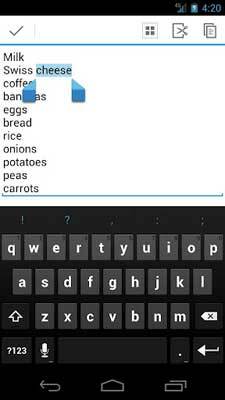 The limited storage space on Android phones is a common problem experienced by Android phones users. To resolve this other than to move data or applications to external memory, you can also take advantage online storage space or commonly known as cloud storage. 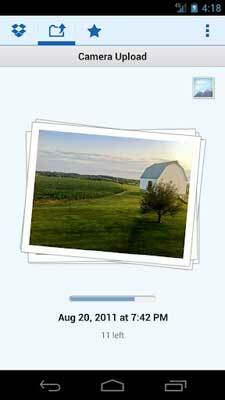 Dropbox is an application that offers online storage for free to users up to 2GB. 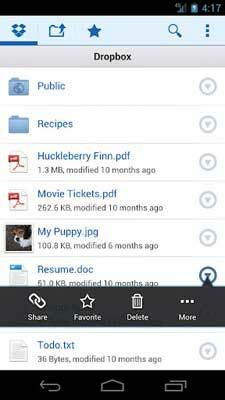 Although the amount of storage space offered is relatively small, Dropbox is an online storage application that is very popular in Google Play. 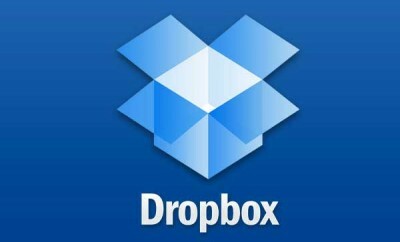 With Dropbox, you can save online documents, pictures and videos to Dropbox server via an application that you can download from Google Play. Other than through mobile application, users can also download a desktop application that can be installed onto a PC with Windows or MAC operating system. After you install Dropbox to your PC and phone, then you can easily upload files to a server in one step so that your files are automatically stored on PC, phone and web simultaneously. There are several ways to upload files to a server, the first when you use a PC, after installing desktop applications from Dropbox then in my documents will have a folder called Dropbox. 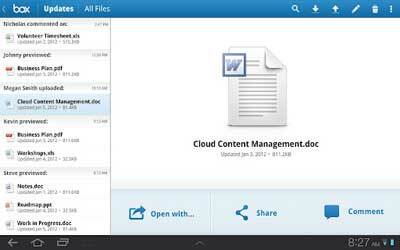 To upload, you can simply drag and drop files into the folder. 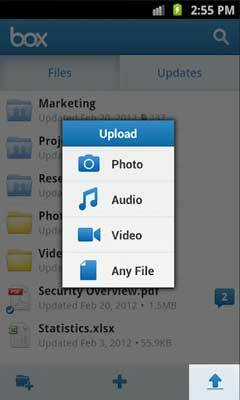 Whereas for the second way, you can upload through website dropbox.com. 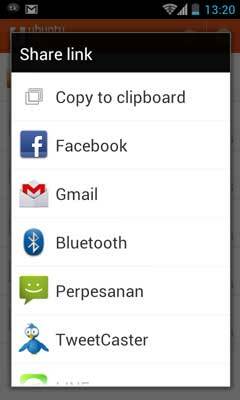 While with your own android phone now users can choose to upload photos and videos automatically to server dropbox. 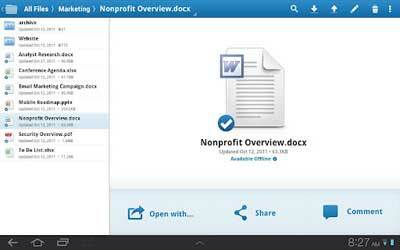 You can also share files to your friends by sending a link or ask as a collaborator. 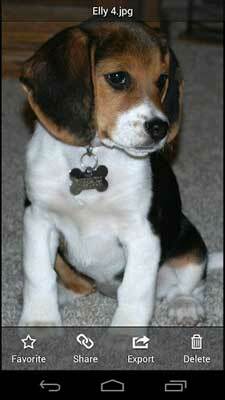 Collaborator allows you and your friends to share files and have equal rights to edit a file. To reduce costs, please set upload by using Wi-Fi only. 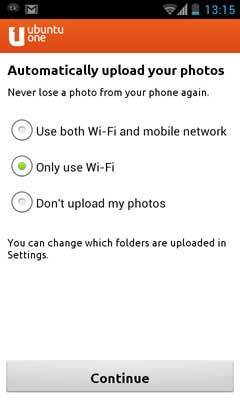 Whereas if you have subscribed to a data package, you can use Wi-Fi channels and packet data from operator. 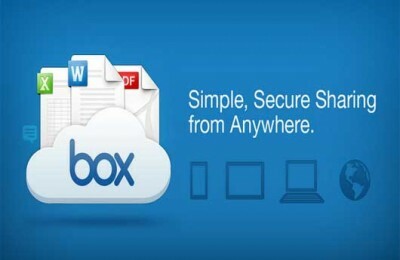 Just like Dropbox, Box allows users to upload files to a server and access it from your computer, website or Android phone. 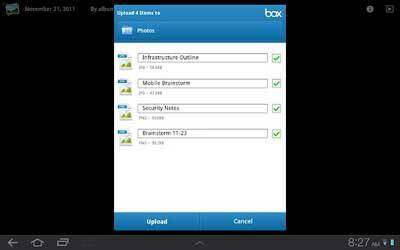 Among the online storage applications contained in Google’s Play, Box is an application that provides the largest storage space which is about 50GB. This attractive deals that sign up specifically to your account or go to Box via Android applications available for free on Google’s Play. 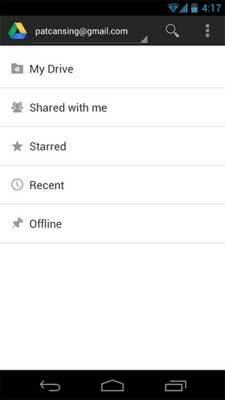 Just like dropbox, Box also allows users to share files with friend and collaborator to send invitations to friends. By installing the desktop and mobile applications to offer, you can now upload files with just one step so that file can directly be accessed from mobile phones and computers. Unfortunately for desktop applications, you are required to pay. 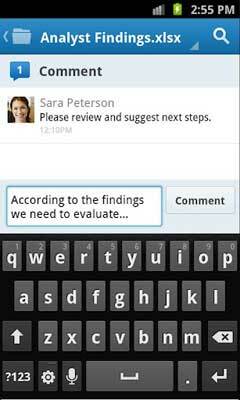 Other key features of Box is a comments field that allows your friends to comment on files that you share. 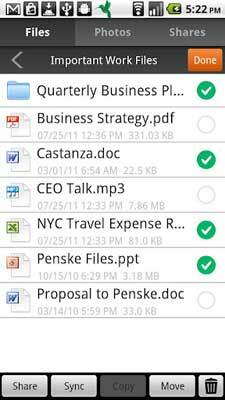 You can also create a shortcut to a file folder and cell phone homescreen so you can practically see updates including access files contained inside. Unfortunately Box not equip themselves with autoupload feature so you need to do a manual backup of your phone. 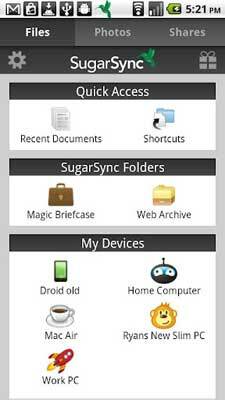 Sugar Sync is a service that offers free online storage with total capacity of 5GB. 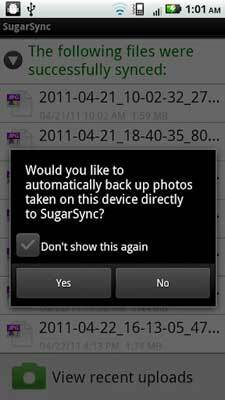 Just like Dropbox, Sugar Sync allows you to perform automatic backups any photos and videos taken with your camera phone. With Sugar Sync Manager, you can also synchronize through a desktop application that can run on PC and MAC. 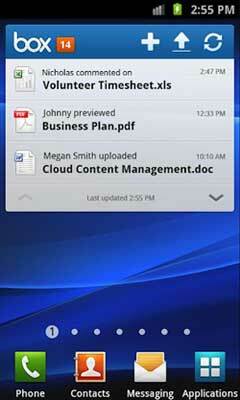 In contrast to both application above, SugarSync lets users to choose folder you want to synchronize. 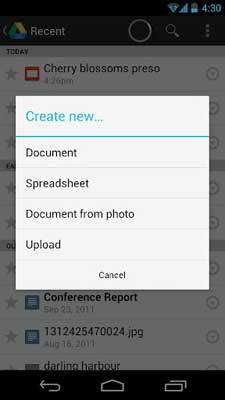 This is different from other applications that only perform synchronization on all files or folders which placed in a specific folder located in MyDocument. So if you install a desktop application in more than one computer then when you login into SugarSync website, you will see a list computer and folder names which synchronized. Whereas for synchronizing to all computers and devices, you simply drag and drop files to a Magic Briefcase folder located in My Documents. 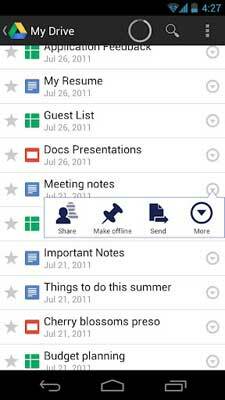 Other features such as collaborator with Sugar Sync is more advanced because you can choose to allow your friends to simply be able to read the contents folder which shared or even go to edit folders content that you shared. 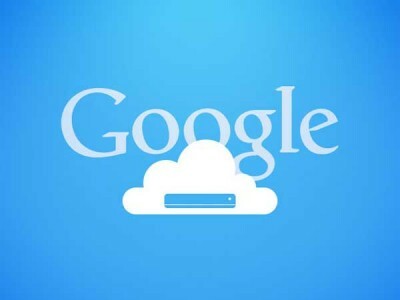 Google Drive is Google’s storage service that gives you online storage for free with total capacity of 5 GB. This service was recently launched by Google in stages for Gmail account owner was started in May 2012. 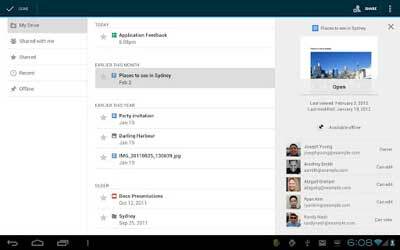 Overall, the features offered by Drive is not much different with Dropbox. You can installing desktop application and synchronize files with drag and drop files into Google Drive folder located in My Documents. 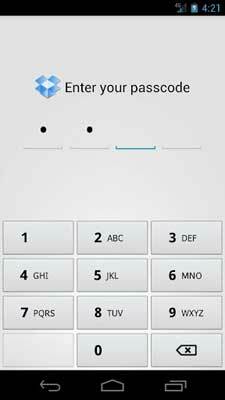 Just like other applications, you can also utilize mobile applications for a while just available for Android OS. 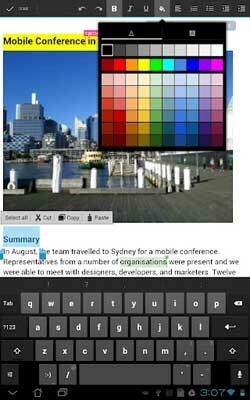 However, Google promised to launch an application that can run on IOS. You do not have an Android phone and computer can also log in from browser through internet cafe for example. 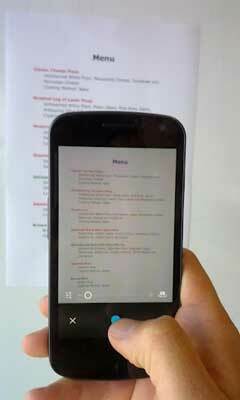 One of the advantages of Google Drive this is you can take a photo of a text document and convert it into Google Document. Unfortunately until this writing, Google has not provided collaboration features that allow collaborator sharing and editing files located in a shared folder. 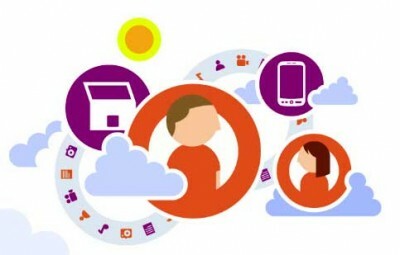 Ubuntu One at first is an online storage service that is integrated with Ubuntu OS. 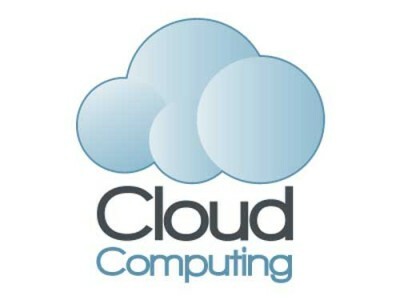 This service then extended to Windows OS, Android up to iPhones. 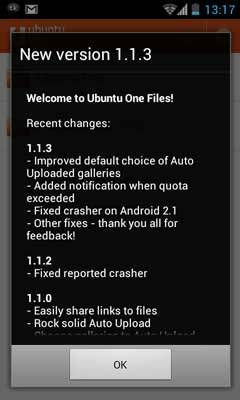 Ubuntu One gives you a capacity up to 5 GB storage space for free. 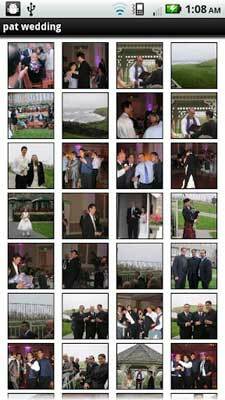 This service provides the most comprehensive feature among any services mentioned above. 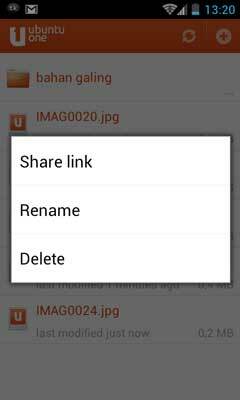 In contrast to any applications mentioned above, the Ubuntu One allows users to automatically synchronizing photos and videos by personalizing any folder are allowed to auto upload. Ubuntu One also supports bandwidth restrictions which consists of setting download and upload speeds. 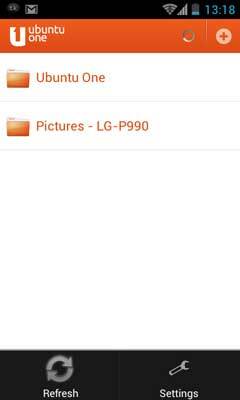 Just like Sugar Sync, you can also view a list of devices connected with Ubuntu One account. However, not like Sugar Sync this capabilities not limited through access to browser but also through desktop and mobile applications.